In an exclusive interview to the Voice of Russia a member of Anonymous talks about the conflict that revolves around the coercive fund raising techniques and a lack of transparency regarding WikiLeaks. He also mentions the possible release of a list of what they view as WikiLeaks ethical violations. On December 21, 2012 Anonymous is planning to launch a secure, no cost and decentralized online leaks release platform called TYLER to circumvent to problems inherent in WikiLeaks and to continue to disclose information that governments, including US, are hiding from people. 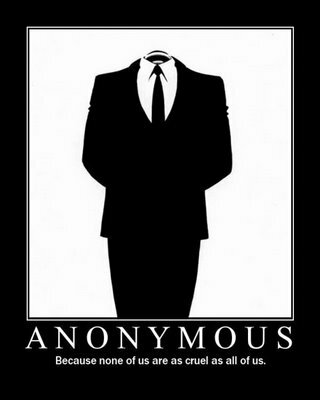 Anonymous: It is important that these questions are being answered as “Anonymous”. At a later time if you would like to interview me regarding my own situation that might be possible, but on this issue I am acting as part of the Anonymous collective. Anonymous: No I think we were fairly clear and straightforward in the press release we forwarded to you. Assange’s reply to us via his public statement on Twitter did not help the situation, as it was generally viewed as condescending and arrogant. So I would say that has exasperated the rift. Beyond that the conflict revolves around the coercive fund raising techniques and a lack of transparency regarding WikiLeaks finances.